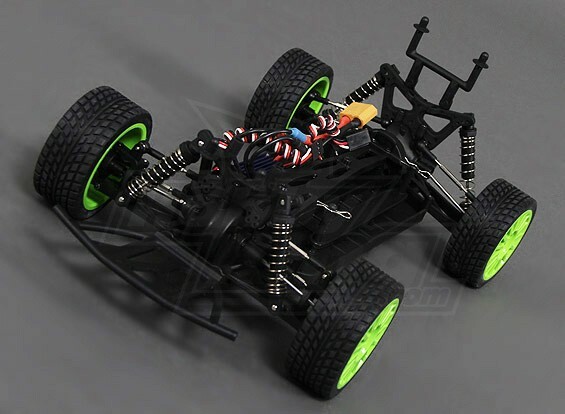 The Turnigy 1/16th Mini Rally Car is packed with features. Fully adjustable suspension such as front toe in and out, adjustable shock absorber locations, adjustable camber settings, adjustable drop height and the list goes on! The Mini Rally offers a fully upgradable brushless rally platform at a price anyone can afford! 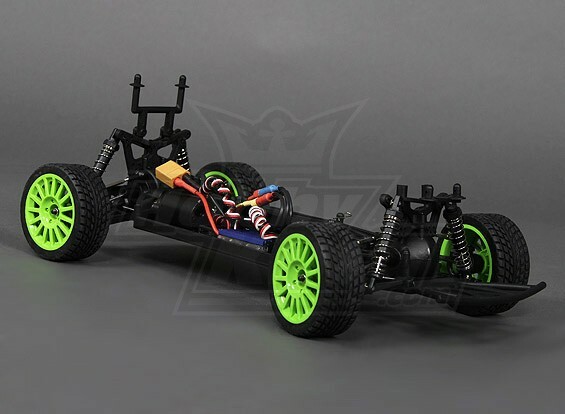 The full time 4WD transmission is delivered blistering power from the 2430-4800kv Brushless motor and 25Amp Esc combination fitted as standard! Aggressive styling, hot out of the box performance and real tunability are set to make this one a must have addition to your collection!